When looking to buy any portable heavy duty folding chairs with 400 lbs capacity or more, I find its important to not settle for something that hasn’t stated a weight capacity. Below you can find folding chairs which are suitable to cater us heavy people. What you may find are strong and durable predominantly indoor folding chairs for events such as parties, seminars, church, group meetings, poker tables etc. 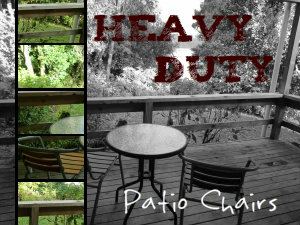 With super high weight capacity limits from, 400 lbs, 500 lbs and all the way up to 1000 lbs. These heavy duty folding chairs may be just what you were after. This includes both chairs for interior and exterior use. If you are specifically after exterior use, check out my guide to outdoors folding chairs for heavy people here. It’s getting considerably harder to find really good indoors chair that are portable, stack-able and with a minimum of 400 pound capacity. I’ve found when shopping in local malls/outlets, it’s super tiring, which is never a good thing when your a big Man like myself. However, when you look to buy folding chairs online for us large guys, the options are considerably greater. Now that’s why I love online shopping!. But what’s even better is that you can even search for the exact weight rating on product pages and descriptions. But this can also take some of your valuable time. So as we always do here, we try to provide you with all the necessary products for us larger people to help you get to what you may want in a timely manner. We also like to offer our preferred recommendations and reviews along the way. So lets get started with the 400 pound weight limit folding chairs for big people. 1.5 See First Hand Why This 1000 Pound Folding Chair Is Tops! The first padded folding chair I was considering with a 400 pound capacity was the Yi Hai. But after reading the reviews and the fact it’s seat size is a little too small in my opinion (because the seat has small arms that restrict wide bottoms from sitting nicely), I ended up deciding on this popular and well reviewed chair by NPS. It does come in 4 different colors, so don’t be put off by my choice of color. It’s also rated to hold up to 480 lbs. Which can give us bigger guys that little bit extra breathing space. It has a pretty strong looking frame that supports the seat, so I am hopeful that this chair has many sitting hours to come. One of the key point’s that took my interest is the water repellent fabric surface, as I do like to have a few drinks and tend to spill them on the occasion. Plus it’s also protected with Scotchgard stain to keep the folding chair looking flash. Well, hopefully. For a folding chair, the cushion is pretty thick, even on the back rest. So as you may determine, I find the comfort level is much greater then your stand alone folding chair. Any big guest or heavy family member will probably want to try this chair. It’s definitely the best 400 pound capacity folding chair I could find. I find the price is very reasonable as well for what you get. Heck it may be a few bucks more then your standard chair. Buck you get confidence that your chair shouldn’t break the next time a big person sits on it. Plus I think it’s rather stylish looking and is comfortable to say the least. This is another high quality plus size folding chair built for heavy duty use. It’s rated to hold up to 440 Lbs. This chair has something unique to the folding chair world. This is what makes this chair very durable and sturdy. The double bar support system underneath the seat, whereas many only use the single bar. More support the better is what I recommend. While the seat is not padded (I recommend only the above padded chair for this weight capacity) it is made from high quality plastic. Which is contoured to fit the shape of your backside. So it’s not like sitting on a hard flat surface that you may expect. The chair folds very easy for storage or stacking, plus it has a carry handle on the top of the seat for easy transport. Still it’s a good folding chair without padding for people needing a 400 pound seat. It’s almost unheard of for a product designed for a heavy person to be affordable yet maintain high quality. Well these HomCom granite white folding chairs might be about to change it all. It’s almost unbelievable how well these heavy duty chairs perform at such a small price. The 1 3/4″ seat and back rest are molded to shape from high density polyethylene plastics which is supported by 25-gauge steel legs. This chair is very strong and should support 500 pounds according to specs. Directors chairs can also be a good reliable folding chair for a heavy person. In this article found here, you can find directors chairs that have weight capacities up to 500 pounds. These chairs are great outdoors chairs made from aluminum, steel and polyester. Whats great about these chairs (besides being oversized with high weight capacities) is that they have many uses. Many of the directors chairs come with either a side table, drink holder and even storage compartments. So you can take a directors chair fishing, throw the line out and have a cold drink resting on your table. On the other end of the scale you can use them indoors as a hairdressers chair or take them out for a picnic. The options are limitless. For a folding chair with a high weight capacity of 1000 lbs, you might expect to pay big bucks right. But surprisingly I find the Flex One has the best value of all chairs. If your after a 400 pound folding chair, you may want to consider the Flex One. The seat and back rest are made from super strong and durable plastic mesh. Much like you may find in mesh office chairs. This mesh material is an excellent way to reduce the heat on the back. As a big man, we tend to sweat a lot and it can be sometimes embarrassing. Well this Flex One solves this problem with it’s unique mesh materials. The mesh backing and extra wide seat may allow for air flow to your body, which cools us down and can reduce nasty sweat. I think this 1000 pound folding chair is also highly popular because it actually molds to your body shape, making it an extremely tailored comfortable seat. The mesh material is meant to shape itself to the body to prove maximum comfort for extended periods. One can also use this folding chair indoors or outdoors as the heavy duty framing is powder coated which should prevent the frame from rusting. It folds away very easy and only weighs 11 pounds. So it’s very easy to carry around as a portable folding chair or stack away for guests, parties etc. As for cons, I can honestly say I can’t find any. Its a stylish looking chair that’s strong enough to hold 1000 lbs, super portable and the most comfortable refreshing folding chair I could ever find, regardless of price. It’s basically the folding chair that has re-invented the way we sit in my opinion. See First Hand Why This 1000 Pound Folding Chair Is Tops! Thanks for the nice article on this commonly misunderstood topic. Thought I’d suggest that you consider that weight capacity for folding chairs is only one of two important safety factors. The other primary safety factor is GIRTH. A person who weighs in at 400+ lbs. will not be able to safely FIT onto a standard folding chair seat pan (steel, plastic or mesh), which are usually about 15″ x 15″. After 400 lbs., there is little value to higher weight capacity’s. The commercial furniture industries safety standards organizations, ANSI & BIFMA, don’t weight-test beyond 300 lbs. because they feel this is the maximum weight suitable for most folding chairs. Hello. 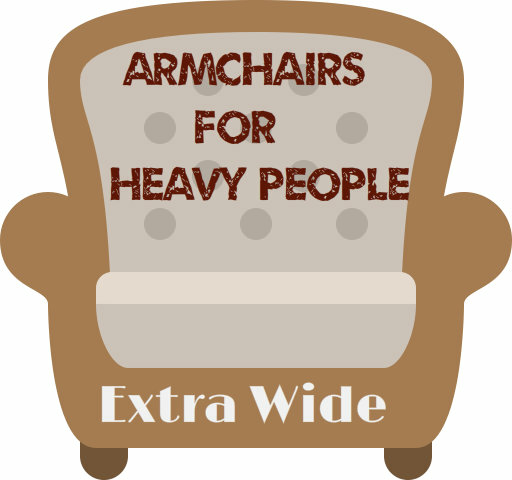 I am looking for 100 heavy duty chairs. 300-400 lb capacity. Hi Mike, depends on what you need them for. If it’s a conference type of scenario I would go for the Public Seating chairs as listed above. Hope this helps. Unfortunately, I purchased 400-pound capacity metal folding chairs only to discover that there was no corresponding increase in the size of the chair. Who designs these without thinking it through? Hi Djay, sorry to hear of your misfortune. 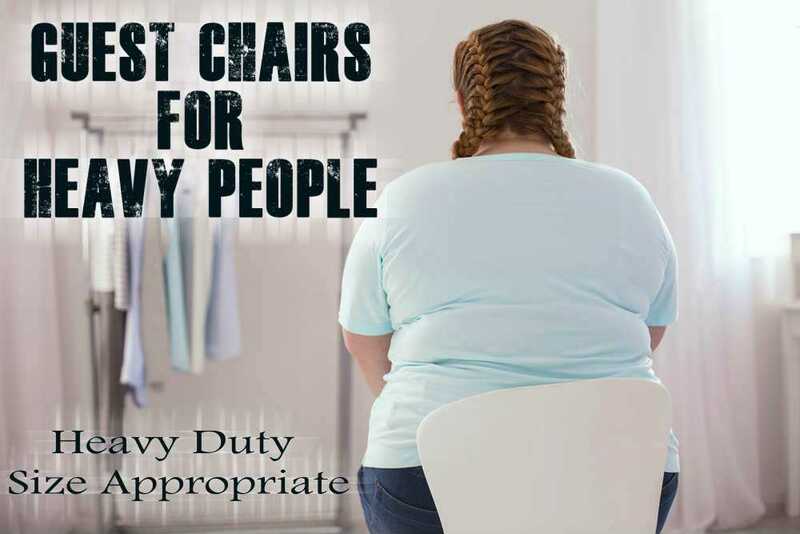 I can think of only one explanation for a heavy weight capacity without increasing the actual chair size. That is if ones Partner wants to sit on their lap, the combines body weight could exceed the standard 200/250 lbs folding chair capacities. Other than that, it’s got me stumped. The 1000 lb mesh chair has a history of breaking and splitting, and the company has been non responsive according to reviewers on Amazon. Plus it looks like they have outsourced to Malaysia. Thanks for sharing your feedback Lauren. I would like to purchase 2 chairs to use as storable kitchen chairs. Where can i purchade them.what is the cost? Anf shipping charge. Hi Janet, click on the links or on the ‘More Details’ button beneath the chair your like. It will take you to where you can buy them and find out if shipping is free. Forbigandheavypeople.com a participant in the Amazon Services LLC Associates Program, an affiliate advertising program designed to provide a means for sites to earn advertising fees by advertising and linking to Amazon.com Certain images that appears on this site comes from Amazon Services LLC. Amazon. This content is provided 'as is' and is subject to change or removal at any time.